We are a labor union – an organization of workers formed for the purpose of advancing its members interests in respects to wages, benefits and working conditions. We are members of a labor union with job protection under a collective bargaining agreement with our employer: The United States Postal Service or USPS. Some Facts about our Local NALC Branch 79………………. The name of our local is Branch 79 and was founded in 1890. The office hours are normally 7:30 am to 5:00 pm Monday through Friday. 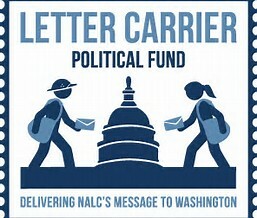 We are affiliated with the following organizations: National Association of Letter Carriers, Washington State Association of Letter Carriers, King County Labor Council, and Washington State Labor Council. As of November 2017, our local membership totals 2,493. Election of local officers occurs in December of even numbered years. Executive Board meetings are scheduled for the Thursday before the Branch meeting. General membership meetings are held at the Swedish Cultural Center at 1920 Dexter Ave in Seattle on the second Wednesday of every month. Shop Steward meetings are held on the 4th Wednesday of every month at the Branch office. Our local newsletter is called The Seventy-Niner and is distributed by mail during the 1st week of every month. The Elected Officers are: President, Vice President, Secretary-Treasurer, Assistant Secretary-Treasurer, Sergeant-at-Arms, Board of Trustees composed of 3 members, Editor, Director of Insurance, and Director of Retired Members.